Here at Coloured Contacts, we know how important it is to put your eye safety first. 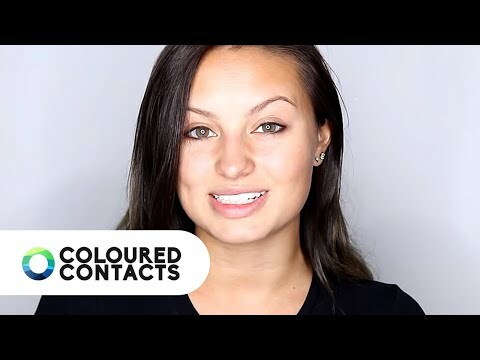 If you are new to buying contact lenses or haven’t tried out coloured contacts before, then we’ve made sure you have all the guides to help improve your experience. Once you have purchased and received your contact lenses, it can be all too tempting to open them up and try them out. However, we have a four-step process to help you correctly check and prepare you for opening and using coloured contact lenses. Once you’ve received your lenses it’s important to thoroughly check the lens packaging before you go ahead and wear them. All lenses from Coloured Contacts will arrive in vials or blister packs that contain sterile isotonic solution. This is in order to keep them sealed, sterile and free from bacteria. Any damages to packaging could increase the chances of contact lenses being contaminated by unwanted bacteria. If for any reason you feel that your contact lenses or packaging have been compromised; please refrain from using the contact lenses and contact our customer services team directly. Make sure you have read up on all the information available so you can answer any questions before opening the packaging. 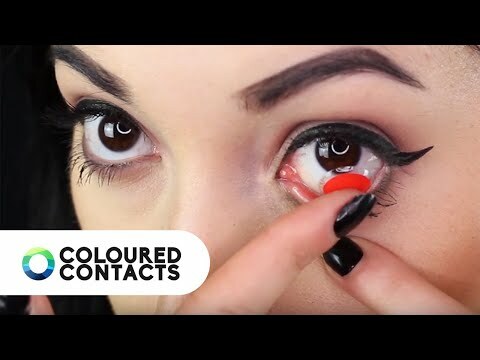 Our Coloured Contacts care guides cover everything from information about how to correctly care for your contact lenses to how you should store them between uses. In our guides, we cover how to prepare your contacts, clean them after use, and store them to minimise the risk of infection. As our lenses are made from soft and delicate materials, they must be handled correctly to prevent breakages and damage. With a group of talented affiliates to support us, we have been able to share with you the all-important hygiene practices, as well as plenty of awesome makeup you can pair with your new lenses. Be sure to watch our contact lens video tutorials. The first step in how to go about getting contact lenses is to consult your optician or eye doctor. They will tell you if you are able to wear contact lenses and which type of lenses will be best for you. Even if you do not require prescription lenses, it is important to do this. If you have any questions about the prescription you have received then make sure to contact your optician. When getting contact lenses for the first time, we recommend giving them a quick inspection before opening them. It is a rare occurrence, but sometimes lenses can become damaged in transit. All our lenses are stored in either vials or blister packs containing sterilising liquid. This means you can see the lenses clearly before you open the packaging. Inspect the surface of the lens for any tears, breakages or unexpected abrasions. If you notice any, be sure to take a picture of it to send to our customer service team who can help to organise a replacement pair. They will not be able to process any requests without pictorial evidence. NEVER try to insert contact lenses that look to be ripped or torn in any way. If they arrived damaged, then make sure to let our customer services team know before you open the packaging. When you get contact lenses online it can be hard to tell how they will look in real life. If you want to see how our lenses look in action then be sure to head to our Coloured Contacts Gallery to see how our lenses look on our talented affiliates. Our affiliates have a range of eye colours so you can be sure to see the effects on all tones ranging from blue to brown. All images on our website are for illustrative purposes so the results may vary depending upon your natural eye colour. If you think the contact lenses may not give you the effect you desire then leave the lenses sealed and contact our customer service team for advice. We leave it to the customer’s discretion as to whether the lenses will give the effect you desire. If you have brown eyes, before choosing your new contact lenses you may also want to look at our sections and blogs to find out which lenses are best for people with dark eyes. 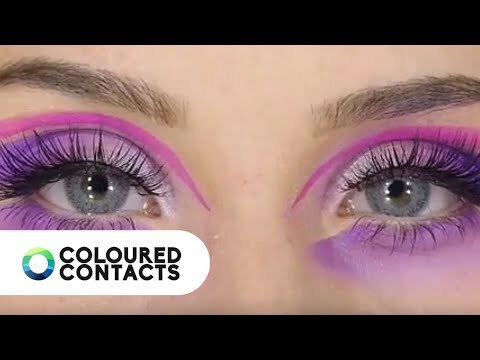 Due to the strong pigmentation, this can be one of the hardest eye colours to cover completely but we have created For Dark Eyes Lens Guides to show which styles to stick to in order to achieve the best coverage. Our FAQ articles will help answer most of your coloured contact lenses questions but if you have any additional questions about your order or think there is a problem with your lenses please contact our customer service team via our contact form. Here's our customer checklist of everything you need to read before you get and open your coloured contact lenses from us.